In purging scrapbooks from the 1980s, I leave their spectral traces here for posterity. The more things change . 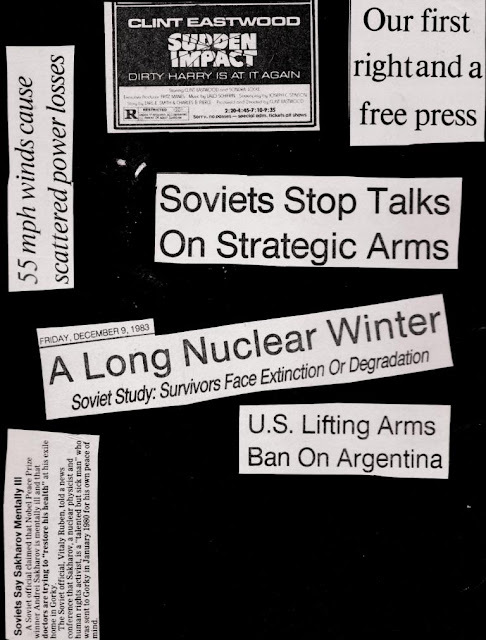 . . Clint Eastwood, Soviets, Russians, Argentina . 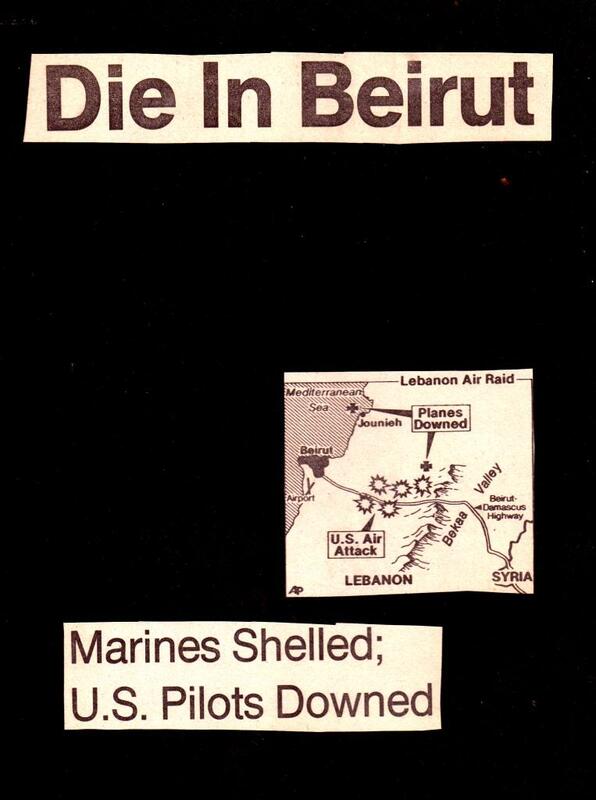 . .
Lebanon, Syria, US Air Attack, Marines shelled, U.S. Pilots Downed . . .
Libya, Gunning for Khadafy, Algeria, Tunisia, Egypt, Niger, Chad, Tripoli, (drum roll) Benghazi, Tobruk, Mediterranean Sea . . . gang's all there . . .